1.2 What Is Portrait Mode? 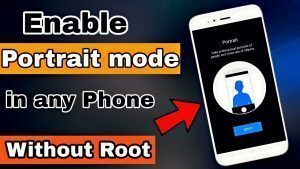 In this topic, I am going to share the knowledge related to “Install Portrait Mode Feature In Any Android Phone Without Root“.No matter which device you are using you can enable portrait mode in any android device. Android devices these days will focus only on the portrait mode and dual camera setup. Devices like iPhone X comes with the dual camera setup for capturing accurate portrait shots but not every device has a portrait mode feature. Some of the devices get the portrait mode after the software update but many of the devices didn’t have the portrait mode feature. In this method, no rooting is required and this method will work in every android device. Devices of Xiaomi has now portrait mode feature after the MIUI 10 update. 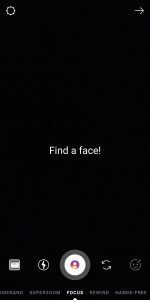 But after following this method you can also click portrait shots from any Android device without rooting. There are many other methods which require rooting. That method requires TWRP you can check the below article but if you want to click portrait mode without rooting then continue reading. Portrait Mode is the camera option where you will get the background blur effect, this feature was first introduced in DSLR camera’s then after the phone companies are using this feature to make their device camera more effective. Portrait mode basically identifies the edges and curves of your body then after creates background blur this will give you the portrait effect. Portrait mode on any android is like dream for everyone but I am sharing the method for clicking portrait shots on any android device. I personally like the portrait mode feature and hope you will like it too. 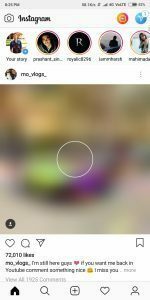 This method will work on both front and rear camera so I think this method is great for clicking background blur images. You will also get some of the other camera options like “Superzoom In Any Android Device”. Superzoom option will help you to 6x zoom the object according to your need. 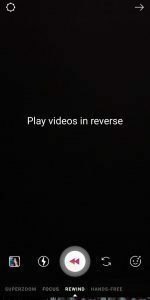 The second feature is “Rewind Video In Any Android Phone” this feature will help you to rewind the video and to make your video magical by rewinding you can do lots of new things by rewinding a video. First, download and install Instagram Application. Then log in with your ID password. Then after login screen will appear. Then click on the story option. After that many camera options will appear. Just search for the option named “Focus”. You will get the portrait shots there by just a single click. Save the story in your device. 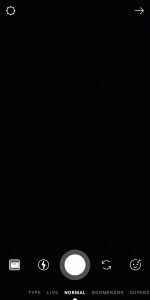 Your portrait shot is now saved to your device. Go to the Instagram application. Then click add story option and there you will all the options. Many other options will appear search for rewind option and easily create a rewind video. Save the video to your device. Next Article [Gcam]How to Download and Install Gcam In Xiaomi Devices.